Moscow’s Georgian community is the oldest of the city’s diasporas, and can trace its origins back to the 15th between Russia and Georgia, many families are well-established and have no plans to leave. 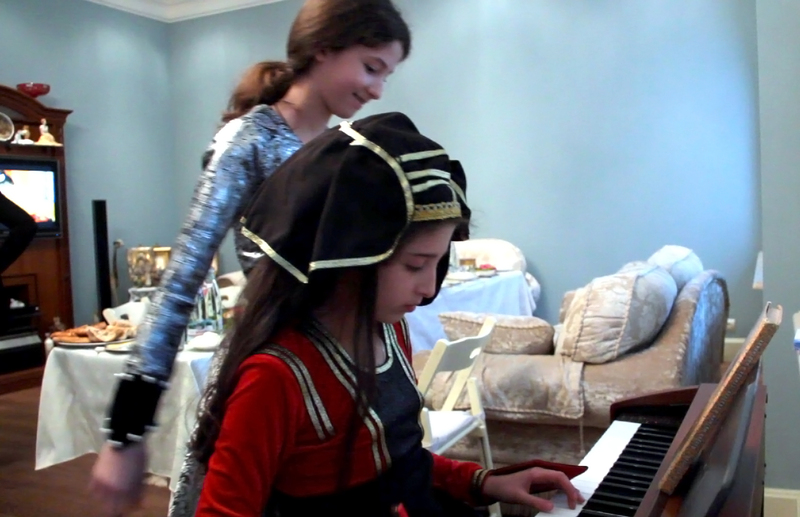 The Bogatelias offer a glimpse into the intimate world of a Muscovite Georgian family. What makes Moscow Georgians different from Tbilisi Georgians? Is it the pace of life, work, the number of gadgets? 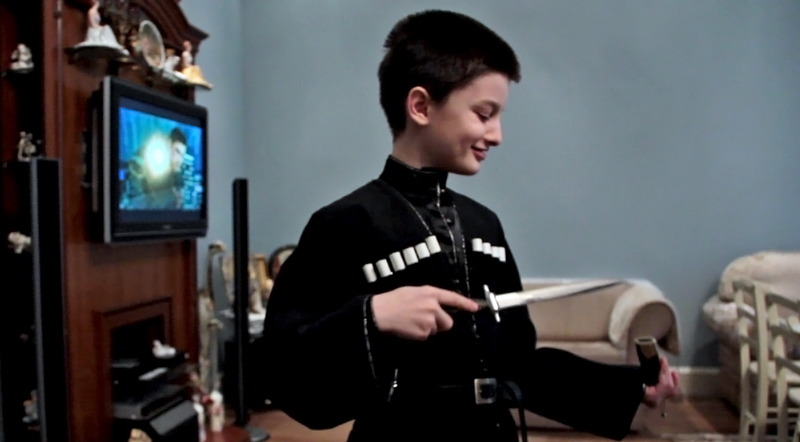 Although they remain faithful to their roots, the Georgian community in Russia’s capital have easily adapted to their new situation and environment. The home of the Bogatelia family is full of Orthodox icons; there is even a special "prayer corner". But they are not averse to honoring the Moscow tradition of having a big celebration of the pagan holiday of Shrove-tide, with pancakes, singing and dancing. "Moscow Georgians are separated from their roots and it shows. In Tbilisi, they are the residents of the capital city of their own country, while in Moscow, they are guests,” says the mother of the family, Eka. “Muscovites are more stressed out, more ambitious, more success-oriented. In my mind, Tbilisi is more associated with St. Petersburg, where people are more attentive to each other,” she continues. “In Moscow, it is important to reach one's goal without taking much notice of people, it does not matter what it costs." The Bogatelia family has its origins in the Moscow of the 1990s. Eka Bigvava came to Moscow in 1991 to study at a medical school. That was where she met her future husband, Zurab, also a Georgian, who was studying to become a surgeon. "When you first come to Moscow, you lose your head a bit from the amount of money floating around and the opportunities that exist here. And from the number of people too, of course. Moscow is the most densely populated city in Europe, while Georgia does not have places like this at all. The biggest city there has 2 million residents," says Eka. "When you first come to Moscow, you lose your head a bit from the amount of money floating around..."
Gradually, the young couple's extended family began to move to Moscow too. In 1993, Zurab's sister Nana came. She received a law degree in Moscow, got married and brought her mother over here too. More relatives followed suit. Some of the last to arrive were Nana's mother's cousin Dmitry, his wife Elena and son Saba. 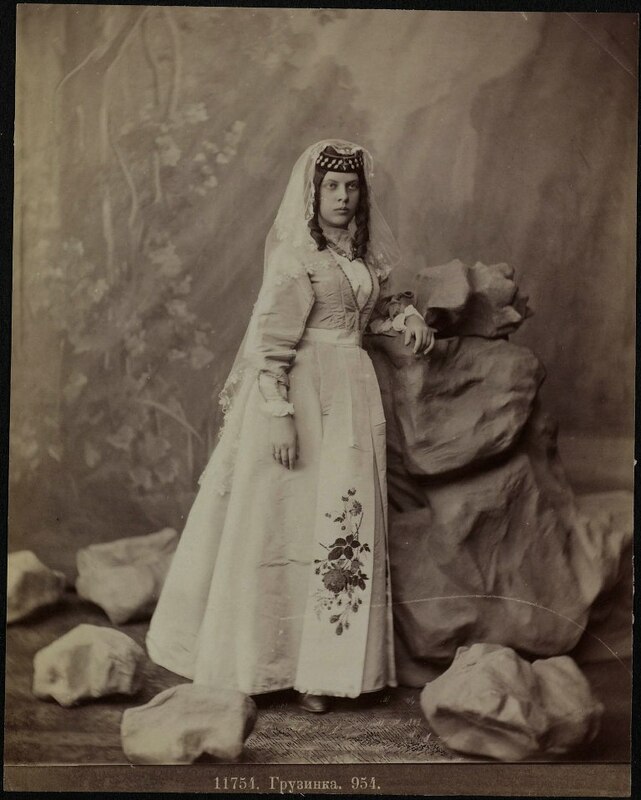 The Georgian clan of Bogatelia has continued to expand in Moscow with the addition of children, grandchildren, nephews and nieces. Eka's two daughters and son are never bored. Their cousins, Nana's children, live on the floor above them, so there is always somebody to play or share challenging homework with. In Moscow, the Bogatelia family live in an old apartment block on Tsvetnoi Boulevard. With its high ceilings, wide corridors, and five rooms, this apartment has enough space for all the 15 members of the family. "The main difficulty that we felt acutely when we first moved to Moscow was housing. It is very difficult to find an apartment here,” recalls Eka. “Things became a bit easier only after a year. Although we are still settling in." 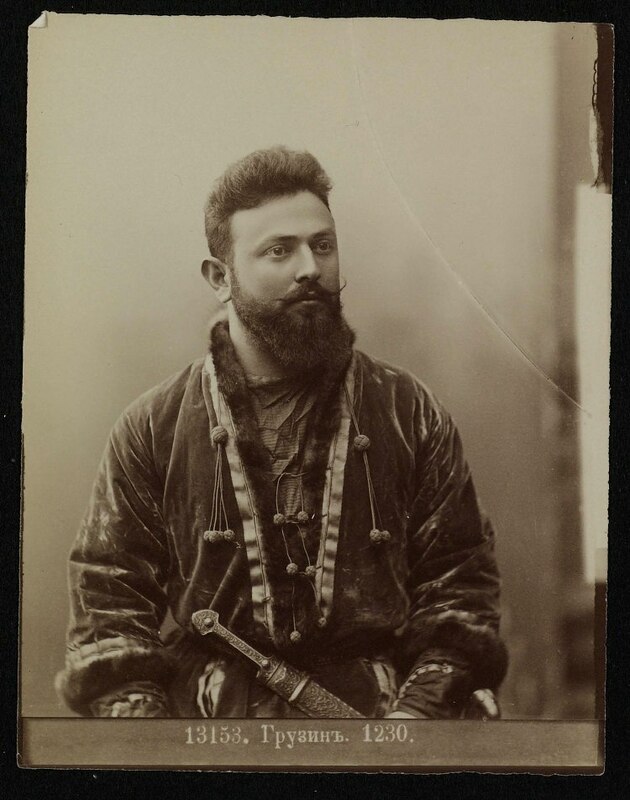 "Modern Muscovites cannot tell the difference between various nationalities, they just call us 'the Caucasus'"
The Georgian community is the oldest of Moscow’s diasporas. In the 15th century, delegations from the Georgian lands arrived one after another to pay respects to Moscow prince Ivan III. Some of their members remained in the Russian capital for good. A Georgian sloboda, or ‘free settlement’, was formed in Moscow in the early 18th century, when the young Russian Tsar Peter II presented the visiting Georgian Tsar Vakhtang VI with the village of Voskresenskoye outside Moscow. This later became the heart of the city’s Georgian sloboda. In Soviet times, Georgia was part of the USSR, however in 1991 it declared independence and broke away. The Georgian-Abkhaz conflicts of the 1990s forced many Georgians to move to Russia. Over the past 10 years, Russo-Georgian relations have been sorely tested on more than one occasion: the military conflict between the two countries in 2008 and the ban on Georgian food imports in 2006–2013. Yet the Georgian people always remained close to the Russian people, mainly thanks to their common religion, while Georgian culture continued to live on for Russians in much-loved films and songs from the Soviet era. Moscow's Georgian diaspora has gradually become an integral part of the city and its image. According to official statistics, there some 40,000 Georgians currently living in Moscow. Doctors, taxi drivers, shop assistants – Georgians seem inherently good at building a life for themselves from scratch in new places. On the whole, Georgians are very good at assimilating in a new culture. Preserving their national traditions in a metropolis is no mean feat. In this, they are greatly helped by their native tongue. All members of the Bogatelia family speak Georgian; this is the language they speak at home. In some respects, Georgian is not a very hard language to learn, with just three tenses, but verbs have different conjugation forms depending on where the speaker is in relation to the object (for example, there are six to seven grammatical forms of saying "he closed the door"). "Indeed, we do adapt quickly,” agrees Eka. “So we have to take particular care to preserve our language and traditions. I watch TV programs in Georgian on YouTube. The children have Georgian lessons with a private teacher, sing Georgian songs and dance Georgian dances. And, of course, every summer they visit their grandmother in Georgia." “Whereas Russians have far more in common with Georgians than with other people from the Caucasus: We share our religion, history, a border.” She adds that since the Russo-Georgian conflict in 2008, peoples' attitudes have been largely defined by politics. “Many people, after watching all that was said on TV, think us almost enemies. And it does not matter to them that we have lived here for a long time, that we are good people." Georgian immigrants were deported from Russia straight away. Those who could find a job or set up a business back in Georgia returned there of their own accord. Families were leaving en masse. At the height of the war of 2008, Russia and Georgia severed their diplomatic relations and introduced a visa regime. Russia still applies certain visa restrictions to Georgians; a simplified procedure is open only to close relatives. Back then, six years ago, Russia and Georgia canceled air travel between the two countries. To get to her native country from Moscow, Eka Bogatelia had to fly via Azerbaijan, Armenia, Belarus, even via European countries. "My Georgian friends in Moscow were telling me stories of how someone had been sacked, someone had been detained, someone had had problems because of their Georgian surname. Those are real stories. My nephew, who has a Georgian surname, was bullied at school… although they did not get very far with him, as he is quite capable of standing his ground," Eka says. Georgians themselves say that they can spend years without seeing their relatives even if they live in the same city. And yet they feel that they belong together, that they are a family: "Usually, Georgians move not in big clans but in smaller families: a husband, a wife and their children,” says Eka. “In that respect, we are not very united. Georgians, as a rule, do not take their uncles, aunts, sisters or brothers with them. This is the weakness of our diaspora, as other nations are more united." Still, the Bogatelias are very much family-minded people. They remember all their numerous brothers, sisters, cousins, grandparents, in-laws, aunts and uncles by name. They keep in touch with even those of their relatives who have emigrated to France: Their weekly Skype sessions are strictly observed. When their Georgian relatives and friends gather together in the old house in Tsvetnoi Boulevard, the atmosphere is that of a small Georgia: Children in folk costumes sing the Georgian anthem, while grown-ups lay the tables with traditional Georgian dishes and drinks. The festive mood is palpable. Many Georgians say they would observe their traditions, especially those to do with festive meals, even were they to move to the North Pole. That is perhaps because it is during these meals that the whole family gathers together and people feel the links between generations. It is as if these tables were laid not in a Moscow apartment but in the garden of a country house on the outskirts of Tbilisi, under grapevines. The dishes are all traditional: khinkali (steamed meat dumplings), khachapuri (cheese bread), lobio (beans with spices), satsivi (a paste made from chicken and walnuts). The wine and mineral water are all Georgian. There is so much food that it does not fit on one table. Immediately, another table is laid, with vegetables and polenta. Children eat at a separate table, as prescribed by tradition. Another tradition has to do with toasts. Georgians are past masters when it comes to toast-making. What the first glass should be raised to is a never-ending cause of controversy. Many of the older generation, those who grew up in the USSR, drink to Lenin. Their children drink to God, thanking him for their food and family. Georgians traditionally drink to peace and to the tamada (the toastmaster). A guest's refusal to finish a glass inevitably provokes the hosts into clamorous indignation, in which they remind one of characters in a musical comedy.